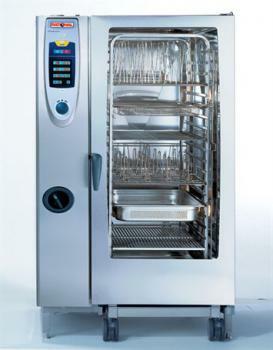 With the RATIONAL SelfCooking Center® you can relax in the knowledge that the demanding daily kitchen routine is under control: you can bake, roast, steam, blanch, poach and much more, all in a single unit. 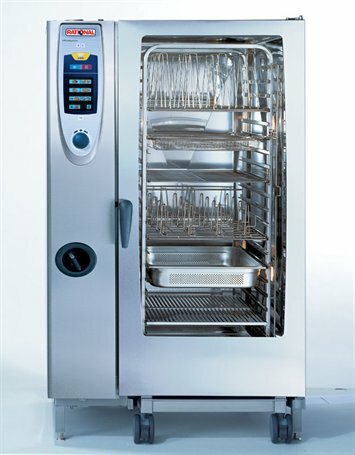 The RATIONAL SelfCooking Center® cooks up to 15 % faster than conventional Combi-Steamers, saving you both time and money. of all conventional cooking appliances such as hot air ovens, stoves, boiling pans, steamers and deep-fryers. During every cooking process SelfCooking Control® automatically makes use of the full technical potential of the RATIONAL SelfCooking Center® on your behalf. So you always get full value for your money.